A large part of the regulation process is governed by the Animal Welfare Act, which is supported and maintained through several sectioned agencies within the United States Department of Agriculture. The goals are to ensure that animals used for research receive a high standard of care and are treated humanely and with respect. Suffering should be minimised but the stance is that it should not be minimised at the expense of the research goals and aims. Thus, this means that animal suffering is seen as secondary to the goals of research and is only minimised if it does not interfere with the success of the experiment. The guidelines and regulations themselves are also only relevant to mammals with the exclusion of birds, rats and mice, whether caught in the wild or purpose-bred for the experiment. Given the enormous numbers of rats and mice used in the United States each year, it is clear that a great deal of legislation does not cover these animals, much to the criticism of animal welfare groups. The actual care of the animals and their subsequent use in experiments, however, is mostly monitored and handled by Institutional Animal Care and Use Committees. The United States is particularly well known for a heavy focus on university research. With some of the world's most highly rated universities based in the United States, the emphasis on cutting-edge research is notably strong. Animal testing is used frequently in university research and is considered vital for biomedical discoveries and new knowledge in the field. 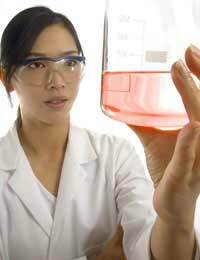 The competitive approach and booming pharmaceutical field within the United States, does, however, mean that animal testing is generally put to excellent use in terms of drug discovery and academic research. It is perhaps in the United States that animal welfare groups are the most prominent and play the largest roles. People for the Ethical Treatment of Animals (PETA) is a well-known and extremely active group that campaigns for animal rights in many areas, which includes animal testing as well as the promotion of vegetarianism and anti-fur campaigns. In particular, members of PETA sometimes attempt to obtain 'hidden' videos of abuse within government, private or university laboratories in the hopes of exposing cruelty to animals and making an example of the offending research organisation and scientists. PETA is also known to target researchers by threatening them or actively holding protests in front of their property. Indeed, in some instances their actions have resulted in researchers withdrawing from their research. Although PETA targets animal testing across numerous species, they do tend to focus on the use of non-human primates as well as animals such as rabbits that are used for cosmetics and toxicology testing. The United States is competitive in terms of scientific advancement, which means that research into drugs and medical knowledge will continue to rise. The role of animal testing is a large one but with aggressive groups like PETA that constantly challenge the laws and regulations within the country, it is anticipated that pressure to develop better alternatives to animal testing will prevail.